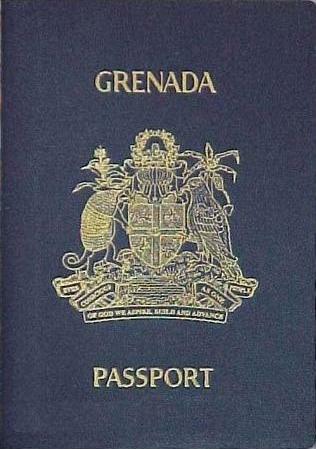 The Grenada Government has denied that a man referred to as a ‘United Kingdom fraudster’ is a holder of a Grenadian passport, and it plans to publish the names of all the persons who are holders of Grenada diplomatic passports. International Business Minister, Nickolas Steele told the media on Tuesday that research of the Ministry of Foreign Affairs files all the way to 2001 do not provide any evidence that a person by that name holds a regular, official or diplomatic Grenadian passport. Claims that a person by the name of PK Sandhu who has relocated to the island from the UK and is the holder of a diplomatic passport which provides him with immunity and the personal protection of Prime Minister Dr Keith Mitchell appeared on the blogpost run by Kenneth Rijock, a convicted financial crime fraudster. Steele said that the Grenadian Citizenship by Investment (CBI) programme does not provide diplomatic passports to anyone. “This claim is absolutely untrue; it’s furthest from the facts,” said Steele who explained that the picture used on the blog of the Prime Minister and PK Sandhu does not provide evidence of personal protection. The Prime Minister, he said, does the courtesy of taking pictures with persons from time to time. Steele said that to provide the evidence of the list of persons who are holders of the island’s diplomatic passports, Government has decided to publish the names. “In fact, we intend very shortly, to produce the list of all diplomatic or holders of Grenadian diplomatic passports, the reason for and the type of passport they hold and the rationale for them holding a diplomatic passport,” Steele said. Kaisha Ince, Chairman of the Grenada Government Citizenship by Investment programme, said that the CBI in Grenada is one that is family-orientated and provides the holders with a regular passport. The programme sees very few individuals applying. “The programme provides for persons to receive a regular passport, so it’s not true to say we have a diplomatic passport programme. It’s just not correct,” she said. T’would be nice and far more meaningful if Minister Steele committed to a date when this information will be released. If they actually indicate a date, it would be interesting to see whether this date will likely be before the upcoming election.